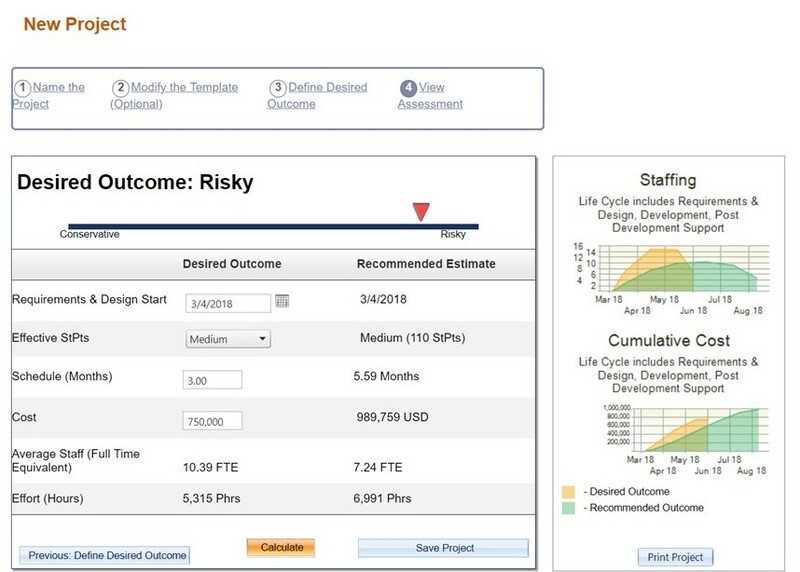 Once the client has compared vendor proposals they can make a data driven decision regarding which vendor to choose and both sides can use the “Recommended Estimate” to negotiate a feasible outcome. The vendor could also use this type of analysis before they submit their proposal to make sure their numbers are competitive. Additional analytics can also be reviewed for more insight. The view below includes analytics from a vendor proposal for a different project. 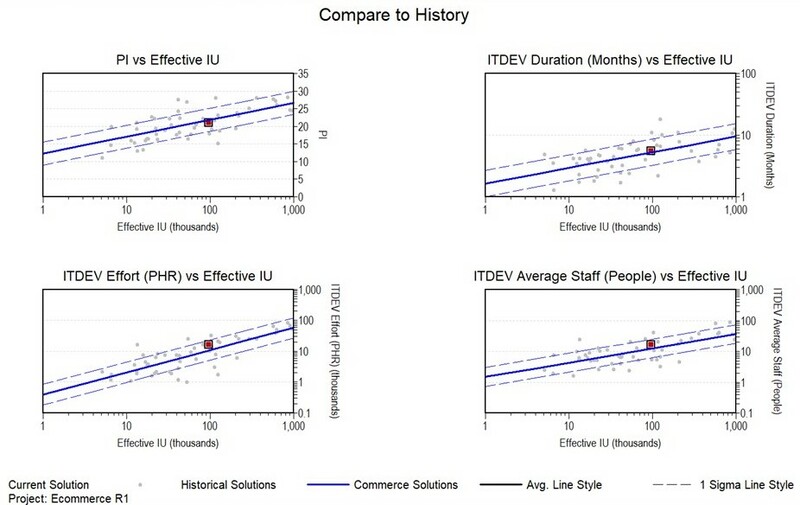 The top left chart shows how the vendor’s estimated productivity (PI) compares with the productivity that they have achieved on past projects, and how it compares to the industry trend. The additional charts show similar comparisons for effort, duration, and staffing. On the effort chart you can see that making the right proposal decision could potentially save hundreds of thousands of dollars on larger size projects. 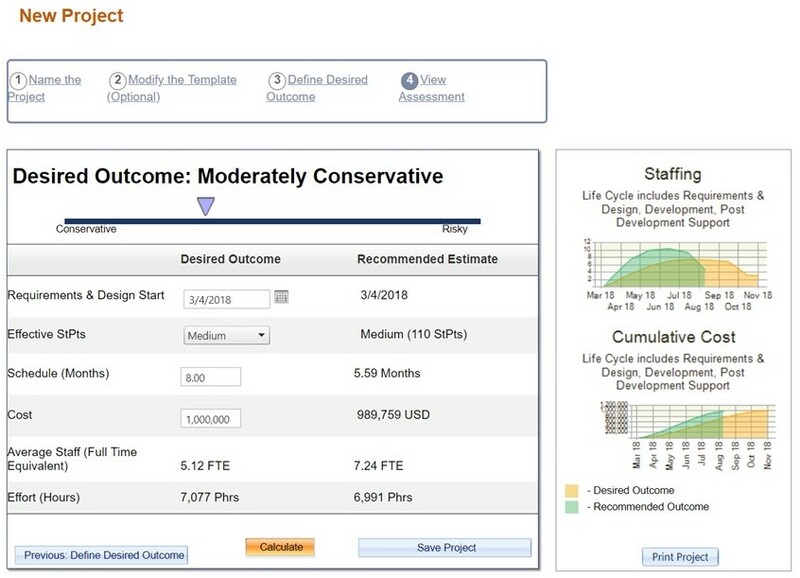 The power of analytics and empirically-based estimation used together can improve decision-making and communication between the vendor and the client. Proposal risk can be seen early in the decision-making process and the data can be used to negotiate a fair price and an achievable duration.